The police worked on an anonymous tip-off that the accused, Indradev Bajgovind was growing marijuana, a narcotic which is banned in the country. The police accused Bajgovind of growing the drug for personal use. 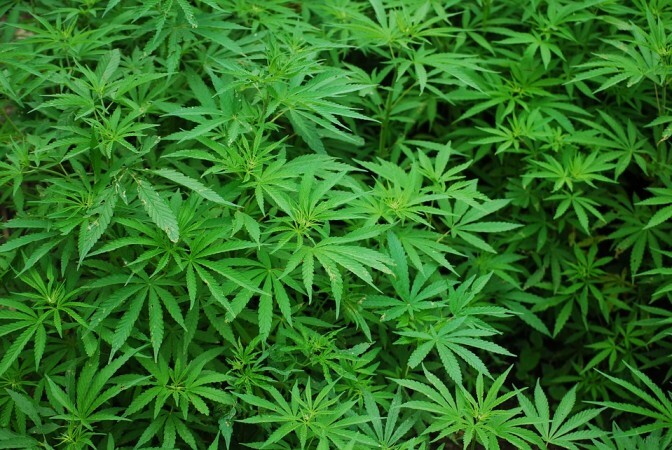 An 81-year-old man in Palghar district near Mumbai was arrested for growing marijuana on a large patch of land. When he was arrested he said that he did not know that cultivating the drug was illegal. The police worked on an anonymous tip-off that the accused, Indradev Bajgovind was growing marijuana, a narcotic which is banned in the country. According to the Times of India, the police accused Bajgovind of growing the drug for personal use. 905 grams of marijuana was recovered from Bajgovind when the police searched a farmyard near his house. An ashram was commissioned to be built on the land and the construction was underway when the raid took place. "The owner of the land had commissioned the construction of an ashram there and had given the task of running it to Bajgovind. The construction is underway and the accused began growing marijuana," an investigating officer told TOI. The police will question the landowner too. Even though Bajgovind tried proving his innocence by saying he did not know marijuana was illegal, a case was booked against him by the Boisar police under sections 20(a) (cultivating cannabis plants), 8(a) (cultivate any coca plant or gather any portion of coca plant) (b) (cultivate the opium poppy or any cannabis plant) of the Narcotics Drugs and Psychotropic Substances Act. Bajgovind is now in police custody. According to the law in Maharashtra, the growing and recreational use of marijuana is banned under Section 66(1) (b) of the Bombay Prohibition (BP) Act, 1949. Under this section, the manufacture, possession and the consumption of bhang and bhang-like items are banned in the state. While marijuana is banned across India, it is considered legal in the state of Odisha and many consume it through chillums.